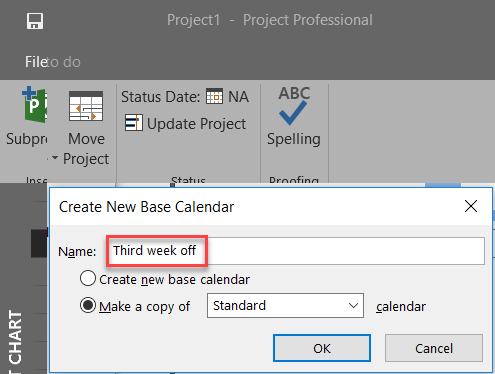 Today, I will explain next Scenario in MS PROJECT 2016: Suppose that you have a project team who will work 5 days a week (Monday to Friday), but every third week the whole team will be off. This is common situation with a Teams who are working on Project, but also at Operations in their Company. 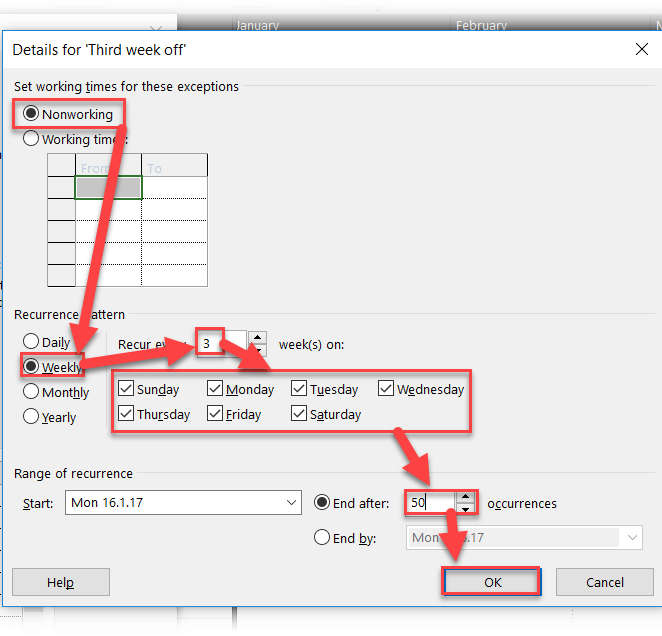 As you can see, every third week is non working week. 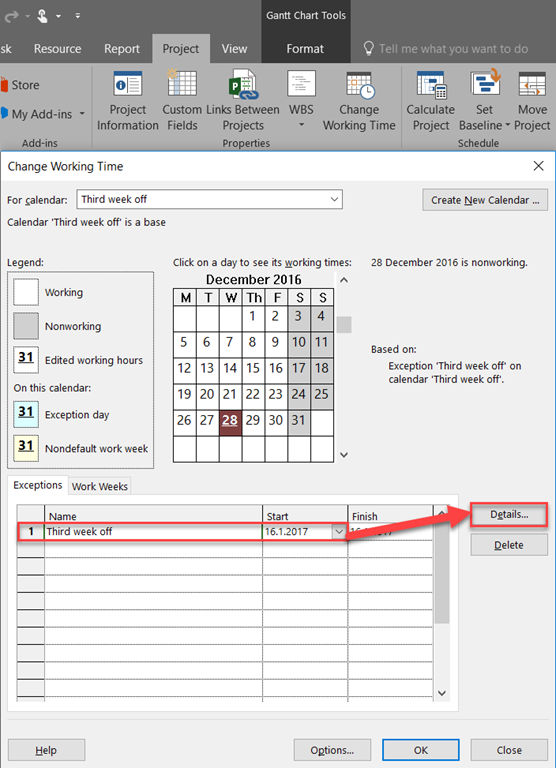 My dear Blog Readers, this is my last post for this Year. I hope that you will read my post next year as well, and I wish you all the best for the New Year – 2017. 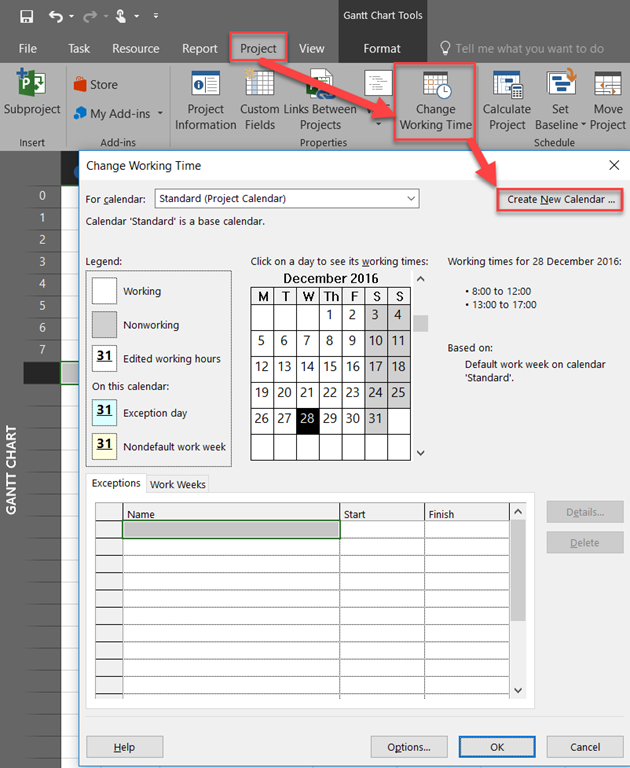 This entry was posted in MICROSOFT PROJECT, Micsrosoft Project 2016, PMI, PRoject Management and tagged Micorosft Project 2016 - calendars, Micorosft Project 2016 - Resources, MS PROJECT, MS PROJECT - Resources, MS PROJECT - Schedule. Bookmark the permalink.